A chance to join one of the most popular and vibrant yacht brokers in the Solent. 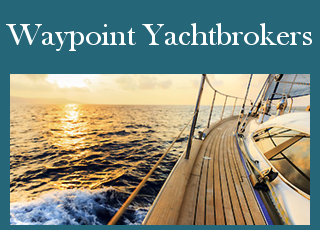 Waypoint Yacht Brokers Ltd, based in Cowes ‘The Home of World Sailing’, a well respected brokerage with over 25 years of combined marine experience is now offering unique franchise opportunities. 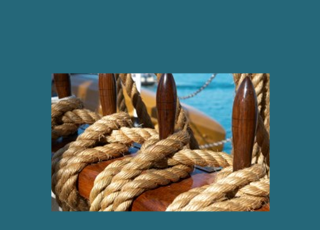 To be a Yacht Broker is relatively easy! To be a good Yacht Broker requires dedication, tenacity and a willingness to go that extra nautical mile. Yacht Brokers, contrary to popular belief, sadly, don’t grow on trees they come from all walks of life. However, one thing they all have in common is a passion for all things that float... Boats of course. A career as a Waypoint franchise Yacht Broker is a 'life style' change opportunity. No two days are the same. You will meet all manner of people from diverse backgrounds, view a multitude of boats of varying build, design, age and price. Consequently, to be a successful yacht broker demands integrity, sincerity, empathy with both the seller and the buyer and, of course, a good sense of humour. Waypoint provide a comprehensive 'Turn Key' Franchise Package with full training and continuous on the job support. In other words Waypoint is offering a unique window of opportunity to join the exhilarating marine industry. Well if, after reading this, we have not put you off, contact Chrissy Holt to find out what Waypoint can offer and what you can offer Waypoint; to become part of a group that has decent honest core values that seem to be lost in the mist of time with some brokers. After all we invest in people... who invest in us. Click here to message us for further details.